Alternative to App for Android: WinX HD Video Converter comes as a free online YouTube video downlaoder and YouTube to Android video converter. How to Download & Convert YTB Videos for Android? WinX HD Video Converter Deluxe - Downloads and converts YouTube videos to any Android mobiles and tablets. Which is the Best YouTube Video Converter Software for Android? By the best YouTube converter for Android we mean the top-rated video conversion utility that will facilitate playing various YouTube videos on Android. But does it mean we have to prepare the YouTube videos on our hard drive beforehand? – Not really! 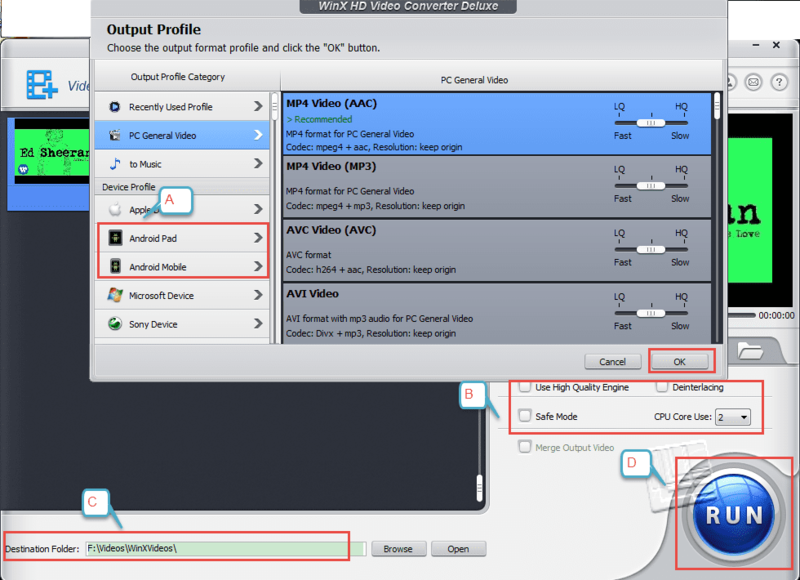 At long last we come to the best YouTube downloader converter software – WinX HD Video Converter Deluxe. It well combines the free YouTube video downloading function with its exquisite video format conversion feature. In another words, we are supposed to get our hands on any YouTube videos on Android in seconds by this single piece of software. 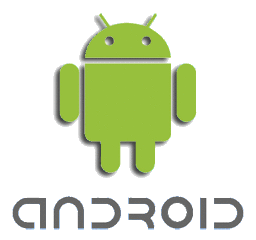 * Android profiles: HTC pads, Samsung Pads (Samsung Note 10.1 and tab 7.0 included), Amazon pads (Kindle Fire HDX 7/8.9 included), Google pads (New Nexus 7 included), Huawei pads, Lenovo pads, Acer pads, Asus pads, etc; HTC mobiles (One series included), Samsung mobiles (Galaxy S3/S4/S5 included), Huawei mobiles, Acer mobiles, Lenovo mobiles, Xiaomi MI-2 and other general Android mobiles. To download YouTube videos and convert them to Android friendly file formats, we may need to download the best HD YouTube video downloader converter for Android at first. Then install it the same way you used to install other programs and launch it whenever you need to complete the task. A. Open youtube.com, the most popular online video site, and find a video you want to download. 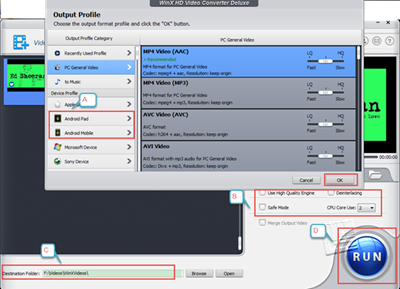 B.	Click "YouTube URL" button on the UI of WinX HD Video Converter Deluxe, copy the video URL and paste it to the blank of address bar. C.	Click "Analyze" to let the software read the built-in video formats (and resolutions) for you. You can choose any one among them according to your need, and then tick the "Auto Convert" button on the left. (Uncheck it and click "OK" button is for download only). A. Find the corresponding profile in "Android Pad" or "Android Mobile" according to your Android device. B. If you have a higher requirement on output quality, tick "Use High Quality Engine" or "Deinterlacing", or check "Safe Mode" to smooth the conversion process, but they will take a longer time. C.	Change the Destination Folder from the default one if you think necessary. 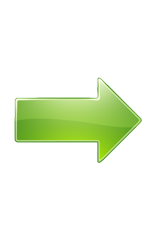 D.	Click RUN button to start downloading and converting at one go. The output file will be perfectly compatible with your Android device. Attention: The software must only be used for private purposes. Any commercial use of WinX HD Video Converter Deluxe or WinX YouTube Downloader (freeware) is strictly forbidden. 1. This unique Android YouTube video converter supports multi-track video, which helps you download and choose HD YouTube video with any language track you like. 2. Due to the multi-core CPU support, Hyper Threading Technology and optimized AMD 3DNow! and Intel SSE3 SSE2 MMX Instructions, WinX HD Video Converter Deluxe delivers a 83x faster converting speed. 3. With more than 370 built-in video/audio codecs, it enables you to manipulate your SD, HD and Ultra HD videos' format issue at one go. 4. It can also help you crop and trim your videos, merge videos and add your own subtitle (.srt) files into the videos. 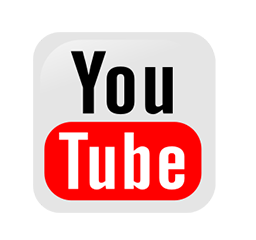 Feel free to try the best Android YouTube video downloader converter now! Play MOV on Android with Android MOV Player or MOV Converter? What Are the Video Formats Supported by Google Nexus 7? What Are the Video Formats Supported by Amazon Kindle Fire?